Development of a reserve management tool (RMT) for Transpower, New Zealand. Transpower runs a power market in New Zealand, and one of the services included in this market is the active power reserve used to maintain acceptable frequency response when a large amount of generation (or import) is lost due to contingencies. RMT uses a special model to determine the minimum such reserve required for achieving performance in the real-time market settlement. Determination of real-time generation rejection lookup table for BC Hydro, Canada. Due to the nature of the integration of BC Hydro’s power grid with WECC, stability is a main issue to be addressed for the secure operation of this grid. One of the measures to ensure the grid security is to apply generation rejection as an emergency control when a severe contingency takes place. The location and amount of the required generation rejection are a function of many factors, including system topology, load and power transfer levels, and the contingency. Therefore, on-line assessment is required to determine the generation rejection lookup table based on real-time system conditions. Powertech developed an on-line DSA system to fulfill such a task and installed it at the BC Hydro control center. Development of powerflow and dynamics databases (PFDB & SDDB) for the NERC/ERAG base case development. The annual effort to develop base cases for the US/Canada Eastern Interconnection includes the handling of many regional powerflow and dynamics updates. PFDB and SDDB are two database tools developed by Powertech to handle such tasks. Please click to see more on PFDB and SDDB. 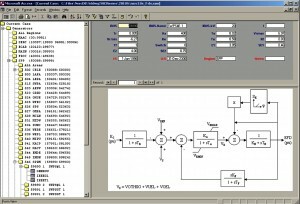 Enhancement of the dynamic reduction (DYNRED) software for EPRI (US). Powertech was contracted to enhance this tool, which creates a smaller dynamic equivalent for a large power system model. Please see a description of DYNRED here. 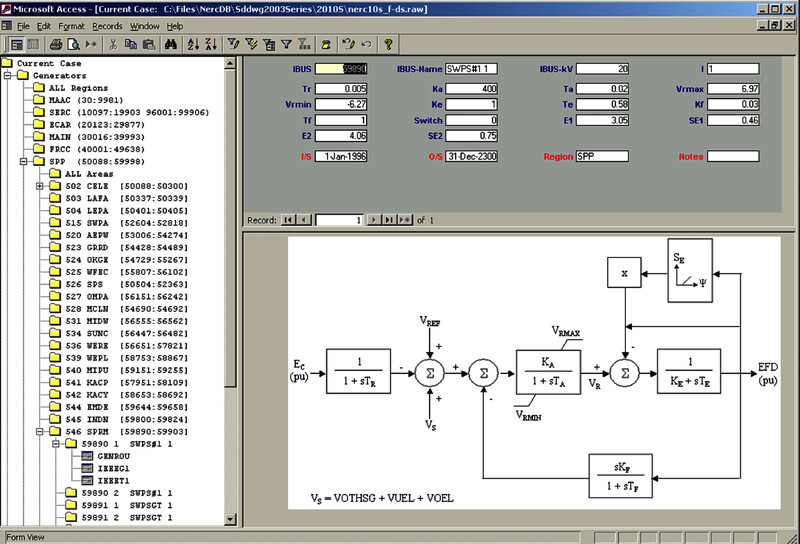 Development of the visualization of security boundary (VOB) software for EPRI (US). This is a research project aimed at providing centralized and consolidated visualization for power system security assessment results. Please see a description of VOB here. Research on parallelization of time-domain simulations with Pacific Northwest National Labs (PNNL, US). Powertech has been working with PNNL on research to improve the computation speed of time-domain simulations by using parallel processing techniques. TSAT has been selected as the target, and the initial results are very encouraging. Development of an asset data collection application (TLDS) for BC Hydro. A custom Android mobile application is used to collect data in the field and send it to a central server. A web server allows users to manage data and asset information, including holding of the data for quality assurance before accepting the results and applying them to the asset records. Please see a detailed description of TLDS here.